After returning home from a recent Florida speaking engagement, I shared the audience’s wonderful compliments with my wife. Noticing the big-bang theory at work in my ever-expanding ego, my wife interrupted to ask whether I ever share my not-so-good stories with audiences. “There are a few,” I reluctantly admitted. “But some were for a good cause. The very first hospital patient I ever visited was a “dirty old man” who was making inappropriate attempts to satisfy himself in the presence of his nurses. Loaded up with chivalry, I “ordered” him to cease and desist. He maintained his activity and “ordered” me to get out. Eventually, he required some restraints. But not all of my strikeouts have been for such a righteous reason. Later the next year, a nurse sent me to see a woman who was awaiting test results for pancreatic cancer. “She doesn’t know yet,” the nurse cautioned in forbearing tones. I started my pastoral visit by asking the patient how her treatment was going. When she responded with optimism overdose, I started playing the what-if game. “What if the tests are bad?” I asked. Then she’d fight it, she promised. “And what if you can’t beat it?” I asked. My attempt to rush the woman through her grief stages was unprofessional. She died a few months later while declining all suggestions to talk to me. I’d like to say I perfected my chaplain skills after that, but it’s not true. There remain times when I try to strike myself from a room or situation. These are times when I want to run because of my lack of comforting words. A few years back, a nurse asked me to talk to a cancer patient with a newborn. “She’s knows she’s not going to see her son’s first birthday,” the nurse said flatly. I remember walking in the patient’s room feeling numb. I suppose I was hoping that my simple presence would be an adequate reminder of the holy, but even that seemed to fail me. There was a stony silence in the room that voiced a rage rejecting all sympathies. I quickly excused myself, telling myself that I was honoring the couple’s desire for privacy. But that wasn’t entirely true. With a daughter of the same age, the situation terrified me. I left the room and leaned against the wall outside her closed door. A fog settled into my thoughts as I recalled the words from the biblical book of Lamentations — a book filled with the curses and cries of those who faced injustice. The woman died the next year after seeing her son’s first birthday. Three strikes should mean I’m out. But God doesn’t play that way. Whether you’re a chaplain or just a caring person, there always will be days when we say the wrong words or we simply cannot find the right words. This possibility of failure must not keep us from our attempts to come alongside people and give them a supporting arm. At the end of the day, even after a failure, I find that my faith remains strong in a God who not only hears our praises and prayer, but who forgives us our failures and moves us forward to his purposes. 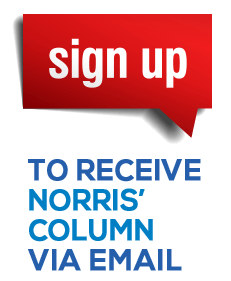 Norris Burkes is a syndicated columnist, speaker and author. 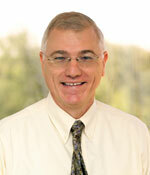 He also serves as an Air National Guard chaplain and is board-certified in the Association of Professional Chaplains. You can e-mail him at Norris@thechaplain.net or visit his Web site at thechaplain.net.